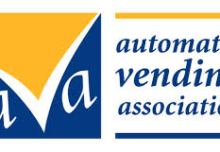 The Automatic Vending Association (AVA) and the British Soft Drinks Association (BSDA) will be holding a joint vending specific technical day on October 31 where guests can listen to industry experts who will share critical information and advice for the sector. • AVA technical consultant Mike Saltmarsh who will be discussing ‘Microbiology of drinking water and refrigeration issues: the future of refrigerant gases’. • Head of Microbiology, Campden BRI, and member of the Government Advisory Committee on the Microbiological Safety of Food (ACMSF) Roy Betts. A recognised expert in food microbiology, Roy will be covering ‘Current issues in microbiology in water and food’. 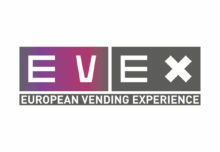 • Communications and public affairs manager from the European Vending & Coffee Service Association (EVA) David Irvine will be discussing ‘Refrigeration issues: legislation changes and energy labelling’. • Director, Ascot College Electrical Studies, Phil Watts, will be discussing a training programme for engineers which has been designed specifically for the industry and is offered exclusively to AVA members. • Marketing manager, Benders Paper Cups and vice chairman of the Paper Cup Recovery and Recycling Group (PCRRG) Adrian Pratt. He will cover ‘Single use plastics, recycling and deposit return schemes; the impact of the potential latte levy; the increase in UK recycling abilities; and the debate over compostable packaging’. • Animal technician supervisor, Pelgar International, Faye de Costa, an expert in animal related issues, who will cover ‘Insect infestation and treatment’. The event will be held at Campden BRI in Chipping Campden, Gloucestershire and tickets are available from the AVA.